Live on cable’s leading morning show, FOX & Friends, Elisabeth Hasselbeck, announced that she and Kirk Cameron will share hosting duties for the 2015 K-LOVE Fan Awards, presented by Pepsi. 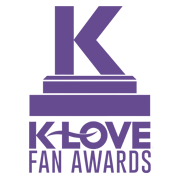 K-LOVE – the leading Christian music radio network with a weekly listenership of over 14 million people – will once again bring the only fan-voted award show in Christian music history to the Grand Ole Opry House in Music City on May 31, 2015.”K-LOVE has always had a positive, encouraging impact on my day, and I am thankful to be a part of this year’s award show,” Hasselbeck said.The show will be the pinnacle event of the K-LOVE Fan Awards Weekend and Ultimate Fan Experience, which includes tickets to the Awards show, a three-night stay at Opryland, dinner with the K-LOVE staff and friends, a weekend kick-off concert, a late night event, two breakfasts, encouraging speakers, access to the K-LOVE Fan Zone and more. Recently, nominees in eight categories were announced: Male Artist of the Year, Female Artist of the Year, Artist of the Year, Group or Duo of the Year, Song of the Year, Worship Song of the Year, Best Live Show and Artist to Appear on a 7UP Can. Additional categories are to be announced soon. and Monumental, and the inspirational film Fireproof. He is also known for his memorable roles on ABC’s Growing Pains, the Left Behind movies, and co-host of The Way of the Master television series. Kirk spends much of his time producing new television and film projects and speaking to people around the country, teaching them how to share their faith and live out a gospel-centered marriage and family. Kirk and his wife Chelsea are the founders of Camp Firefly, a camp for seriously ill children and their families. Together, they live in California with their six children. 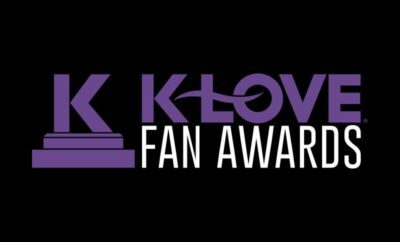 Performers and Presenters Added To KLOVE Fan Awards!